Perched above Moray Golf Course and looking out over the Moray Firth, the Skerry Brae boasts some of the best views of any hotel in the area. With its mixture of excellent location and comfortable but informal atmosphere, the Skerry Brae is a favourite with locals and visitors alike. Our rooms are bright and comfortable and all have ensuite bathroom facilities. Most rooms also have the added luxury of stunning views of the championship Moray Golf Course and the Moray Firth coastline. We have various sizes of rooms at various prices allowing a number of combinations for your reservation requirements. Facilities in the rooms include Tea and Coffee making facilities, direct dial telephone and remote controlled television. Our Golf links Annex provides spacious luxury accommodation with all rooms enjoying the impressive views. 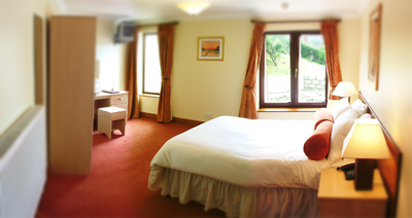 All rooms have digital television, broadband internet connections and are comfortably furnished to a high standard.